I'm obsessed with skincare. In fact, I could spend all day reading and learning about our body's largest organ. But there's one thing that really gets me going: when a celebrity reveals the products they rely on for amazing skin. Let's be real for a moment… The reason most celebrities have crystal-clear complexions and a well-rested glow is that they have the world's top facialists and aestheticians on speed dial, and access to the best beauty products. From £205 moisturisers to the latest skin-sculpting treatments, it's impossible for us normal folk to keep up. Which is why I was so excited to discover that a whole army of British celebs swear by the Trilogy Certified Organic Rose Hip Oil. Retailing at £20, this is a piece of A-list skincare action I can get on board with. Best of all, it genuinely works. Keep scrolling to find out which celebs use it and why it's so great. The hero product and core ingredient of everything in the Trilogy skincare range is the pure rose hip oil blend. It has been something of an insider beauty secret for many years. Makeup artists like Charlotte Tilbury have been known to keep a bottle in their kit to prep their clients' skin before red carpet events. Cara Delevingne has revealed that she swears by the oil for keeping her skin looking its best, adding a few drops to her face after cleansing in the evening and before her moisturiser in the morning. Plus it's got the royal seal of approval, too, with Kate Middleton reportedly a fan of the pure seed oil. The Duchess of Cambridge is said to be very cautious of products and treatments, so she uses Trilogy to fight wrinkles and boost glow instead of harsher ingredients like retinoids. But it's not just great at restoring brightness—it's also proven to help reduce the appearance of scars. In fact, independent clinical studies showed a reduction in the appearance of scars by 41%, stretch marks by 43% and wrinkles by 23%. It's great for mums and mum-to-be, as it can be used on a growing tummy. Plus it's safe to use on little ones. Victoria Beckham has spoken openly in the past about her experience with acne and has been known to use the Trilogy Rose Hip Oil to deal with the scars left behind, as well as enjoying the glow that it imparts on the skin. Celebrity facialist Deborah Mitchell also uses the oil in her LIA therapy treatment, which is an acupressure and healing facial both Kate Middleton and Victoria Beckham are known to be fans of. Shop the celeb-approved Trilogy Rosehip Oil and some of my other favourite rosehip formulas here. Nothing but a 100% blend of pure rose hip oil. The same great formula with the addition of powerful antioxidants to protect the skin from pollution and external aggressors. A more lightweight blend of the classic Trilogy oil that helps to regulate oil production as well as boosting radiance. A fresh, long-lasting rosehip oil using a CO2 extraction method to preserve the nutrients. An affordable rosehip oil packed with essential fatty acids and vitamins to hydrate your skin and improve tone. No surprises, the star ingredient of this cleanser is rosehip oil to help condition and nourish skin while improving pigmentation. A seriously powerful blend of rosehip seed oil and retinyl to regenerate your skin while you sleep for a brighter complexion come morning. 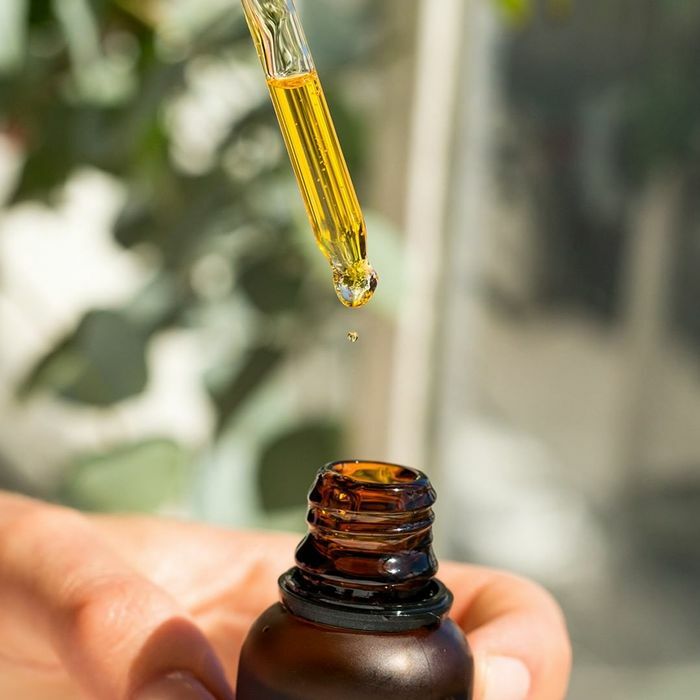 Next up, CBD oil is literally everywhere I look—here's what you need to know.